After escaping from the hospital still with no memories... You are in Buenos Aires in year 2035 and Victoria, your new friend is helping you find the person in the photo, it's clue you have to recover your memories and understand who you are and why you are here. While in your journey, you'll meet new friends that will help you, new challenging riddles in different location all around the well known city of Buenos Aires, those places will get you closer and closer to meet this special person that can hold answer to your questions. You need to remember who you are. 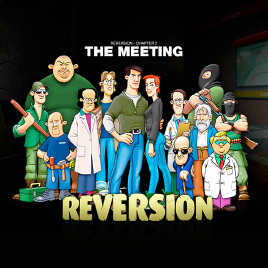 Find out in Reversion - The Meeting, the second chapter of a graphic science-fiction adventure in point’n’click developed by the indie 3f interactive. 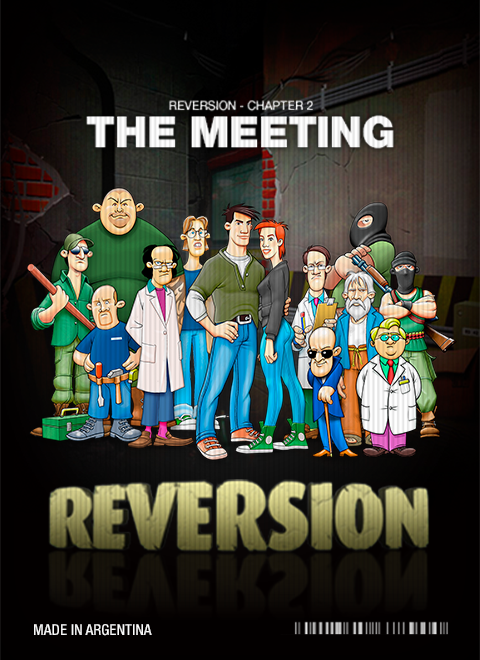 We are proud to announce that the second chapter of Reversion is now released for the Linux platform! You are in Buenos Aires in year 2035 and Victoria is helping you find the person in a photo. You didn't ever notice the title of the game once? i got this on like a boss bundle, very fun. I wish I would have known there was a pre-cursor, I had to stop half way through the game to go play the first free version, and then go back and play this version. It's amazing how much detail went into this game. Thanks a lot for your words ZorNiFieD :). I'm glad you like it! Fun game! How many episodes will be total? I found a few cursor labels which is not translated on English (they are Spanish I suppose). Where to send it? Hi JIghtuse! We are working on the third and last chapter :). You can email me at fsaenz@soluciones3f.com.ar.